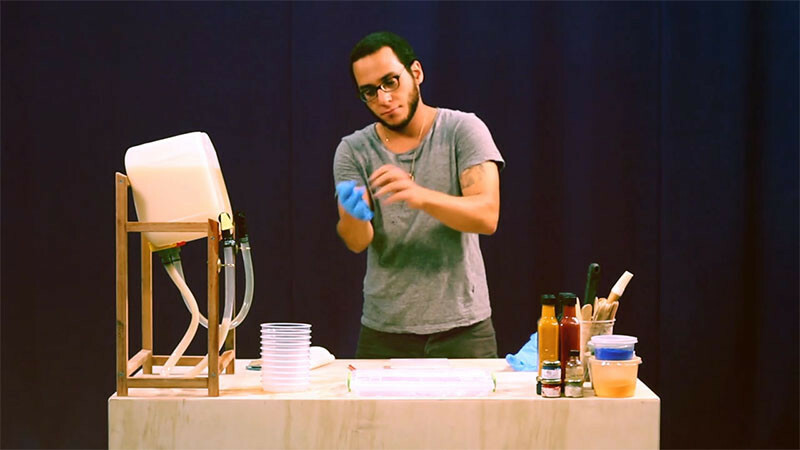 Industrial designer Maor Aharon, has created a machine that uses centrifugal force to create stools made from polymer resin. His collection is called ‘Matter of Motion’, and they will be shown as part of the ‘YES&’ exhibition at the 21st Triennale in Milan. First he starts out mixing up colored batches of polymer resin. Then the mixes need to be checked to make sure the color and thickness is correct. 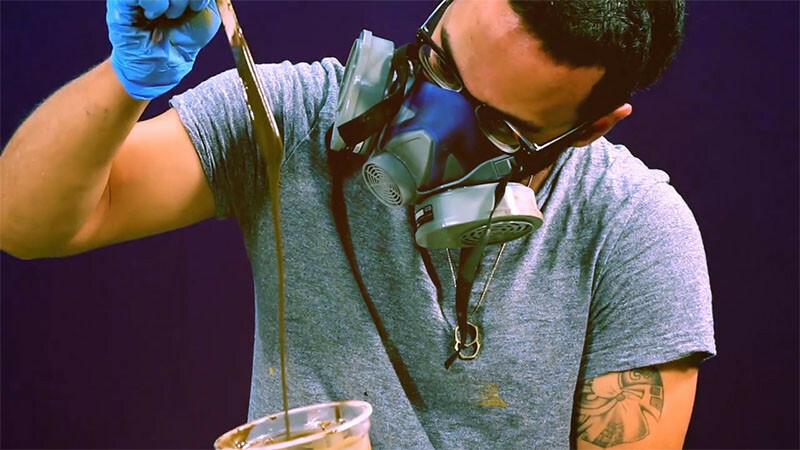 After mixing, he carefully pours the resin into a machine. Then the machine gets turned on and it starts to spin, getting faster and faster. 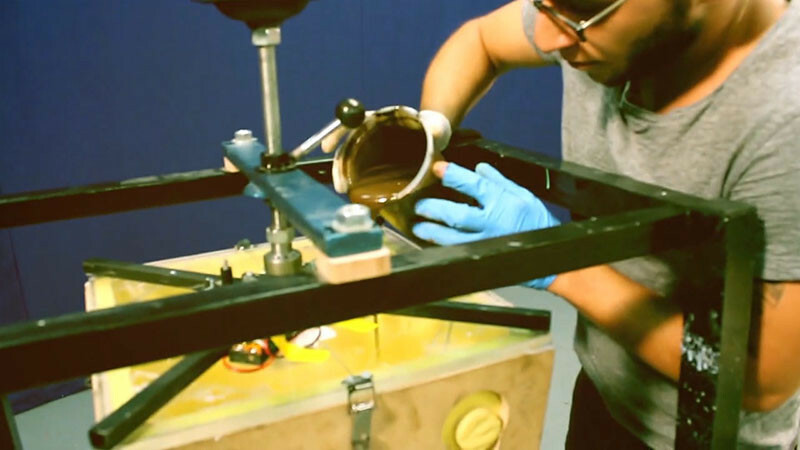 Inside his machine, the resin is forced up the corners, because of the centrifugal force that occurs when it’s spun. 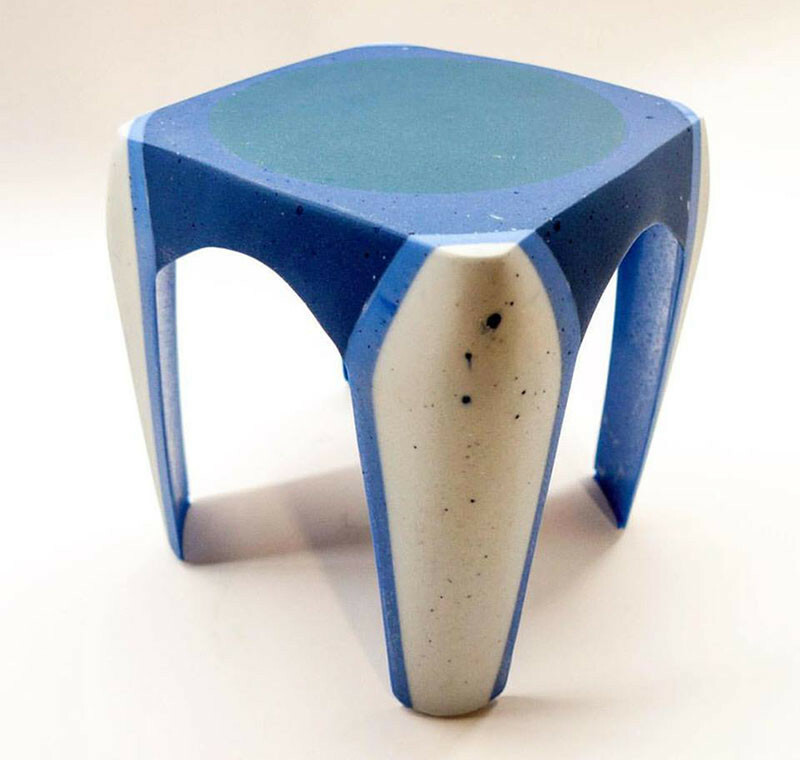 He adds multiple layers of different colored resin, one at a time to achieve the desired look. 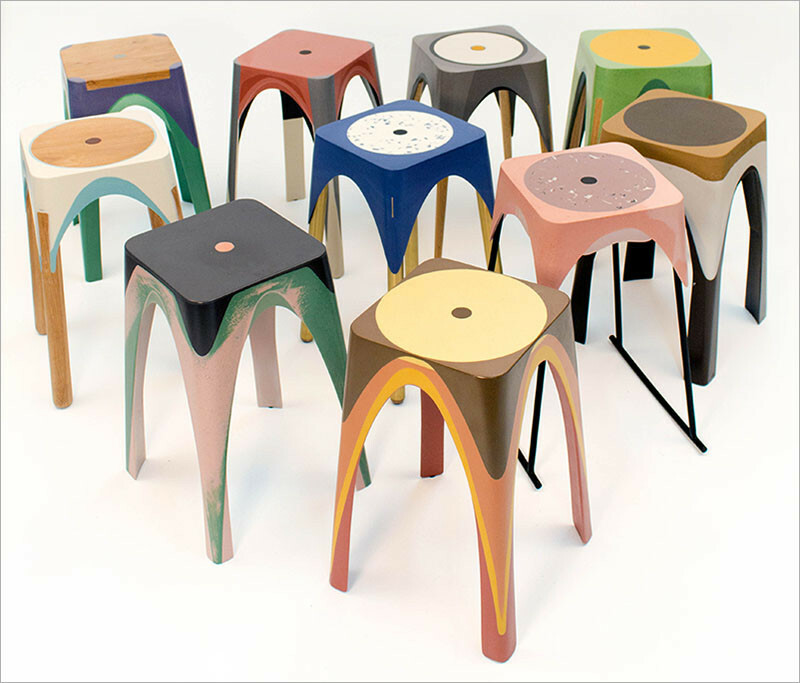 Once the polymer resin has hardened, it can be removed from the machine, and you have a stool. 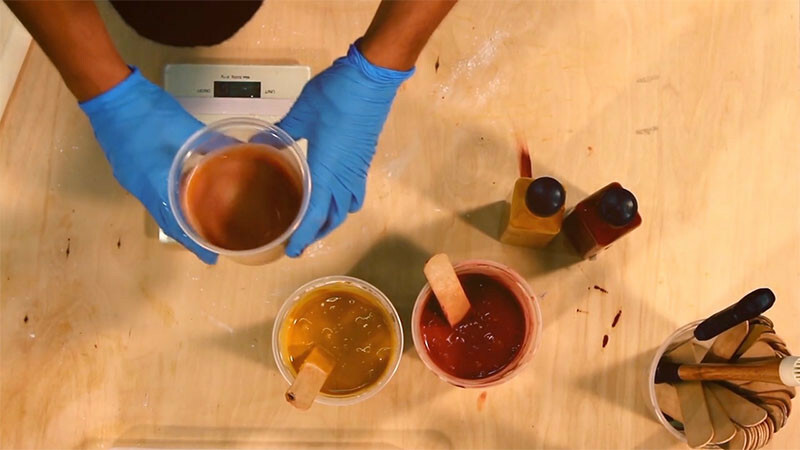 Here are some results of testing different materials to see what works, and what doesn’t. This is one of his early prototypes. 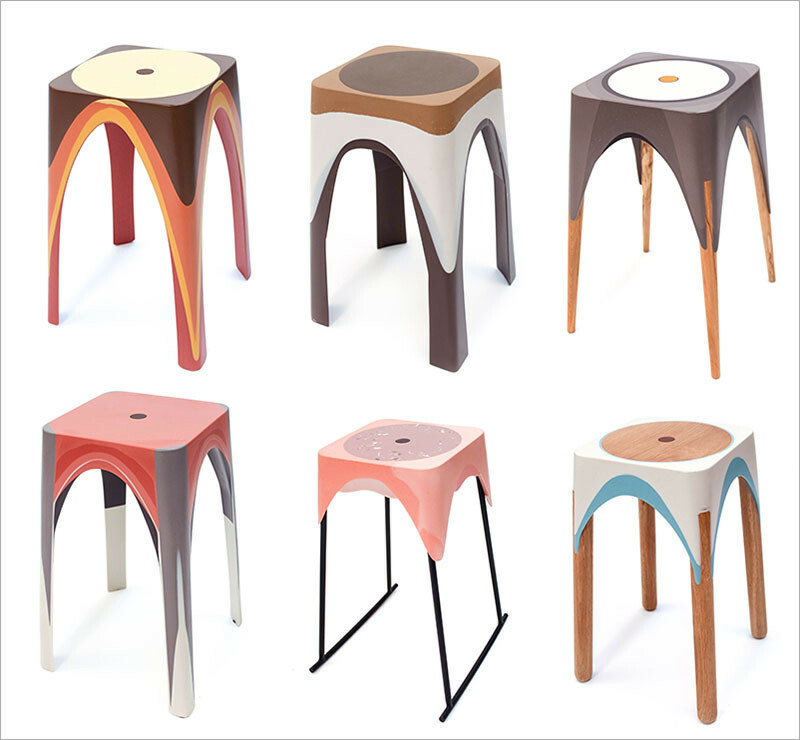 And here are some of the finished stools.